Another day, another floral! Well, at least I'm predictable. Recently I placed an order for a couple of Candy Lacquers: Licorice Allsorts and Summer Circus. When they arrived I knew immediately that I wanted to do a manicure with Licorice Allsorts. 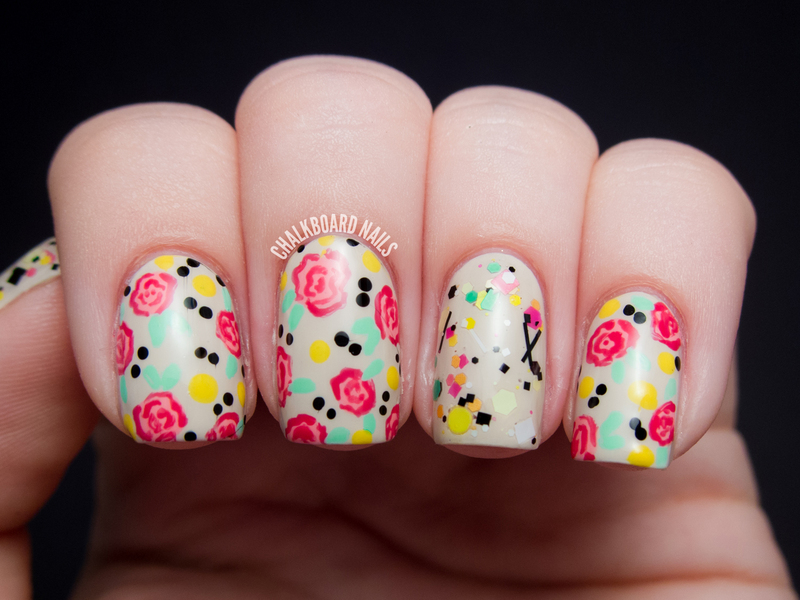 I thought it would be neato to do a floral pattern that mimicked the colors as the glitter. I chose OPI My Vampire is Buff as a base (shock), but it didn't end up having the contrast that I expected against the lighter colors in the manicure. Still, in the right lighting, the neon would just pop. Isn't it strange how neon often is brightest in the shade? The mix of colors is just the cutest! I think the black is totally important to the balance here. It is a nice anchor for the rest of the glitter. I used the same technique for this floral as I did in my Rodarte dress tutorial, so be sure to check it out if you want to try this manicure yourself! I just LOVE how the accent nail looks with this. What an awesome idea! 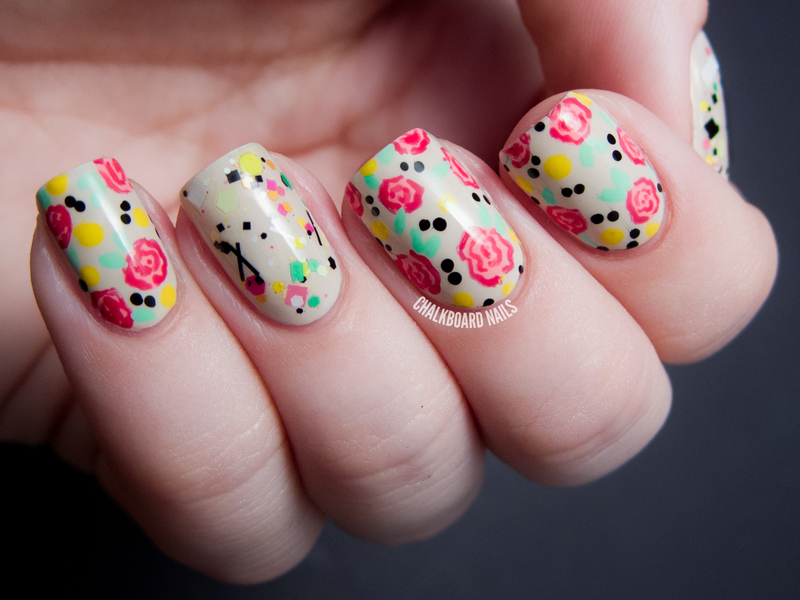 Your nail art never ceases to amaze me. I've had Licorice Allsorts on my radar for awhile now but it appears to be sold out...bummer. I'm not convinced about the glitter but then that's really not my thing anyway. Loving the flowers though! Very pretty! 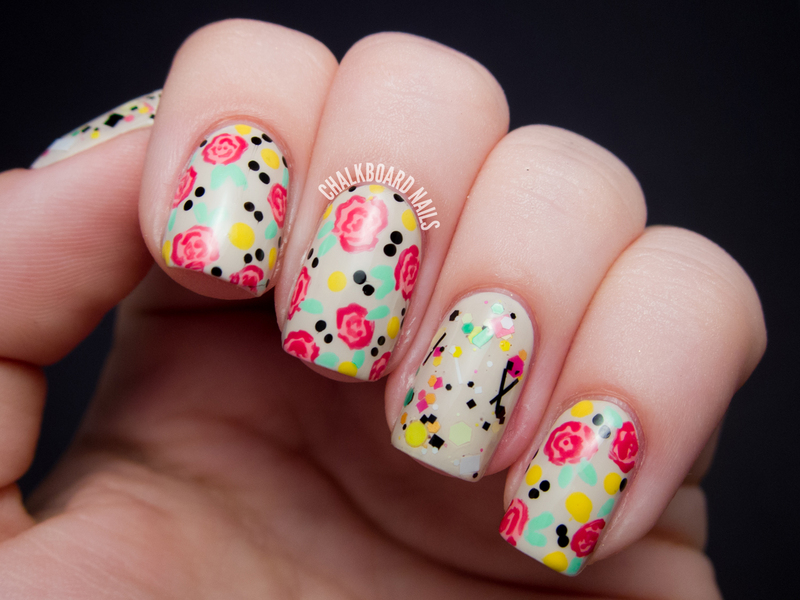 I love all things floral! Every time I check out your posts, I always end up buying a new polish. Today is no different - this is lovely!! wow i love this idea! beautiful! I loooove it! 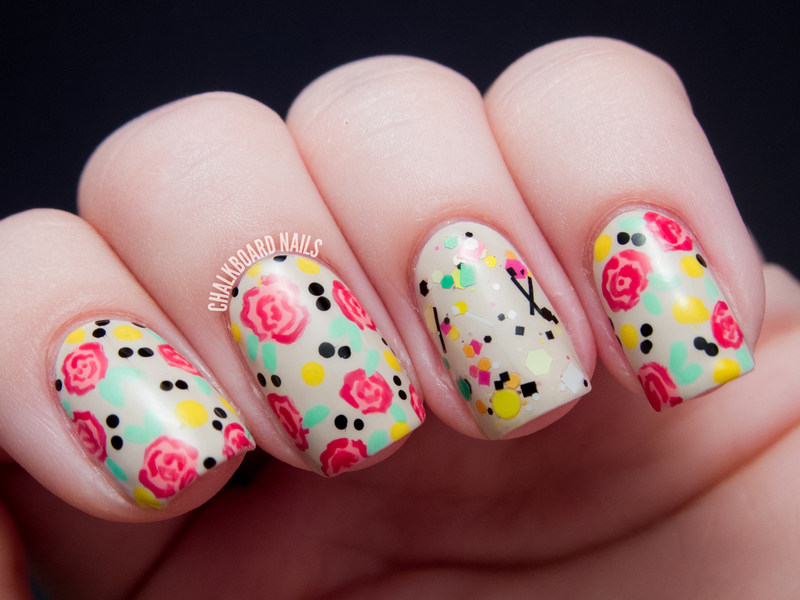 I liked how you match the colors of the glitter to the flowers! It's back in stock, I just snagged a bottle. I also wanted Afro Circus but now that's sold out. I loooooove these so much! Which yellow polish did you use?